You are here: Home > Listings > Archive: 2012 > Elijah & Skilliam (Butterz/Rinse FM) @ St Vs R! 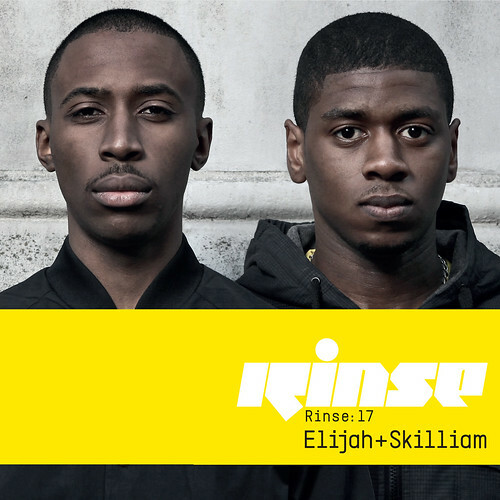 Over the last few years Elijah and Skilliam have established themselves as the hottest DJs within the Grime scene. It all started with the creation of the Butterz blog in 2007, and after two years of hard work, the duo were offered a show on London's Rinse FM. What’s key about Elijah and Skilliam’s sets is the sheer amount of digging for new material they do, and their constant willingness to play tunes from new, often relatively unknown grime producers over more fashionable artists. It is this investigative instinct that led them to launch the Butterz imprint, which has unleashed material from Terror Danjah, Swindle, Royal T, Trim, TRC and more. Highlights of the label so far are releasing S-X's cross genre classic 'Woooo Riddim' and P Money's 'Boo You' which have broken out a lot further than the scene they were originally made for. While their sets retain the high-octane, aggressive fire you’d expect from grime, they stay away from the hype, war, and clashing that have long served as the scene’s Achilles’ heel. Thanks to this high-concentration music, low-concentration drama approach, the pair have become the first grime DJs to break into Europe without an MC, playing parties in Holland, Spain, Germany, Switzerland and Czech Republic to name only a few - as well as regular shows at London's fabric & FWD>> clubnights.